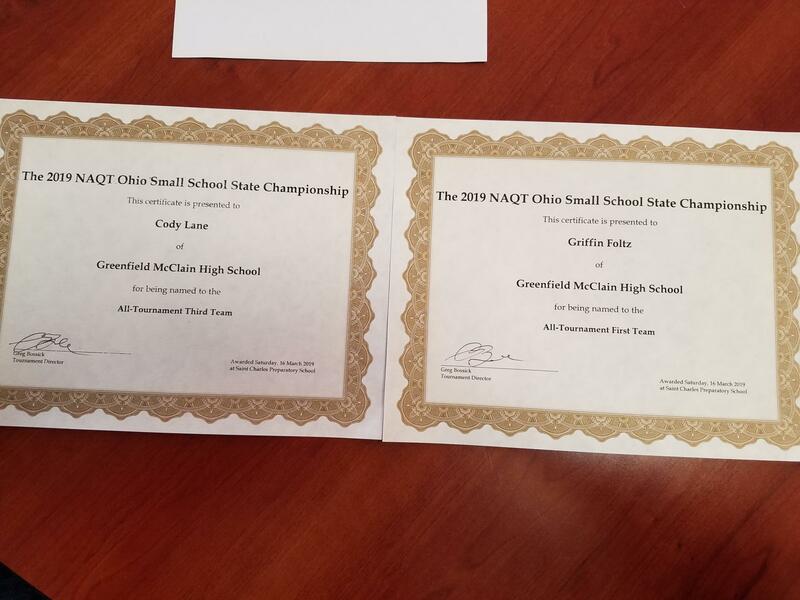 The McClain Quick Recall team ended its meritorious season with a bang at the Ohio Small School State Championship, placing sixth overall in Ohio. Two of the members, Cody Lane and Griffin Foltz, won awards for their performances, with Cody receiving third team all-tournament, and Griffin receiving first team all-tournament. Two other varsity members, Chance Lane and Ronnie Houseman, also participated. The fifth member, Sam Colburn, was not able to attend. 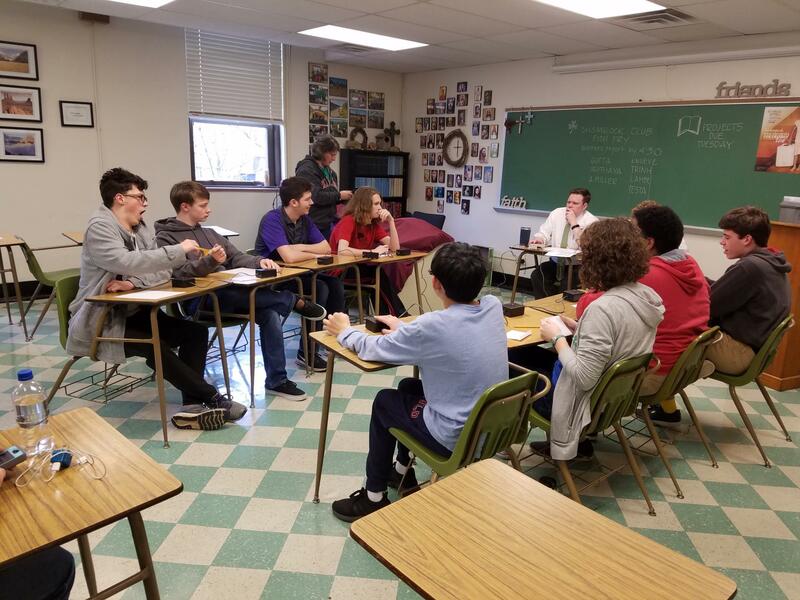 In order to get into the playoffs, the team endured two eight-question rounds in addition to the seven rounds they had already played. 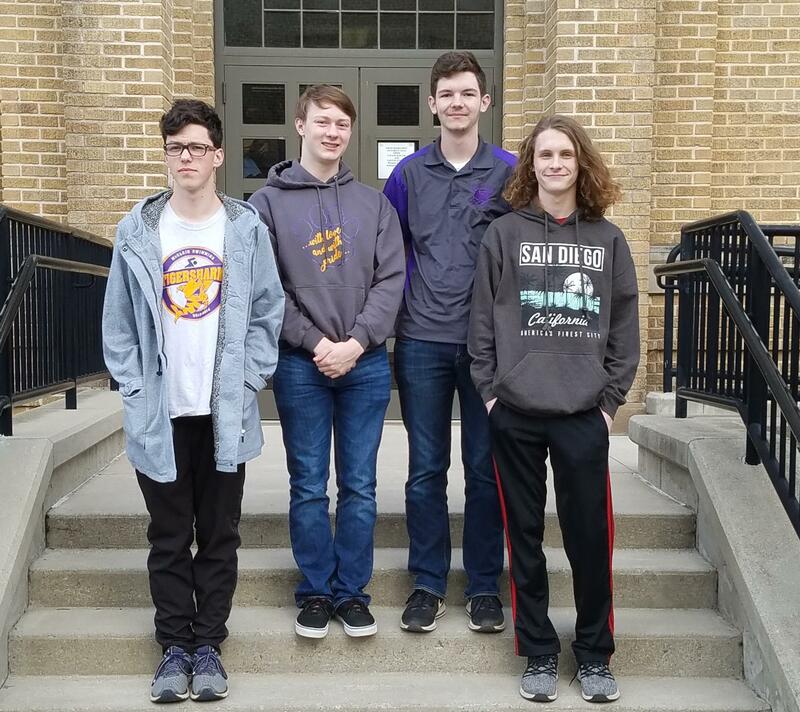 They won both rounds, making it into the playoffs where they placed sixth overall.